When you buy a house that needs renovating (1 year down, 50% finished..) a lot of other things tend to get neglected. Amongst others: hanging stuff up the wall. 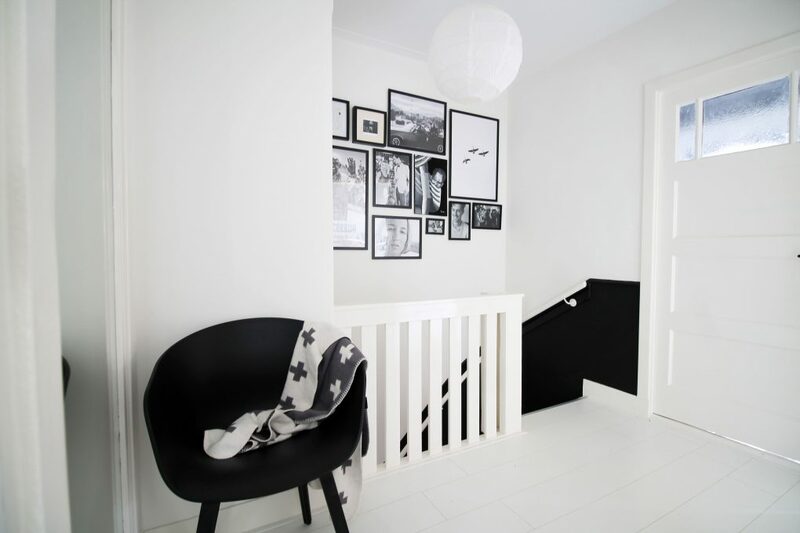 But we finally reached a point where we collected some black&white prints and figured they would look good at our 1st floor landing. And don’t they look good? 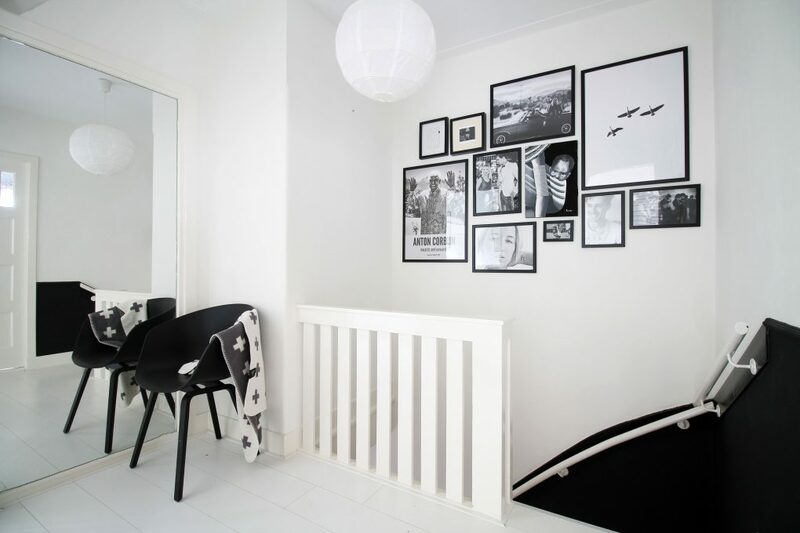 We chose the black&white as a specific theme and combined them with all black frames. This way you create consistency, which is needed to avoid a messy result. 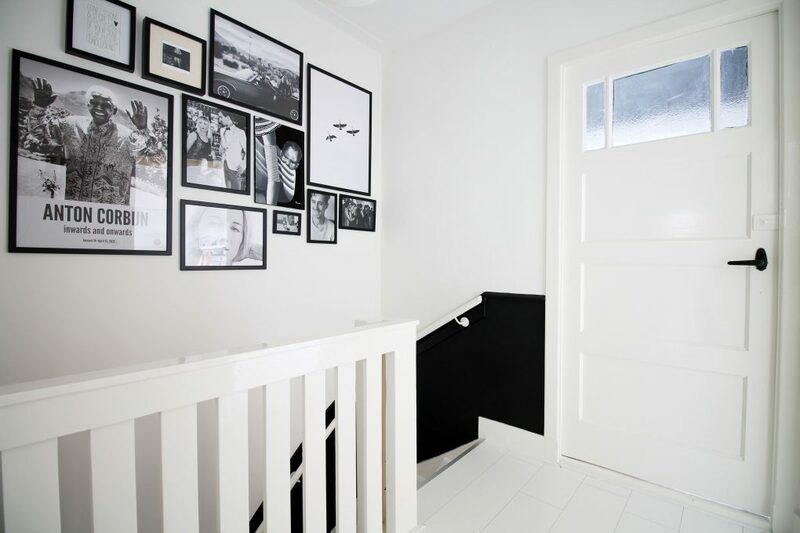 Another tip I have for you is laying the prints on the floor first and create your gallery there. You will see it needs some adjustments when you see it in whole on the floor. This trick works for me every time! Since a lot of these items are personal photos or retrieved secondhand, I can only share one shopping tip with you. The top right poster with the birds is available at The Poster Club, which sells beautiful posters. Click the link for the poster, but check their other posters as well. I was planning on not doing anything with our staircase because it’s so small/impractical but this post gives me hope! I love the contrast.